JOE GELONESI: Today, a multi-award winning children's writer. 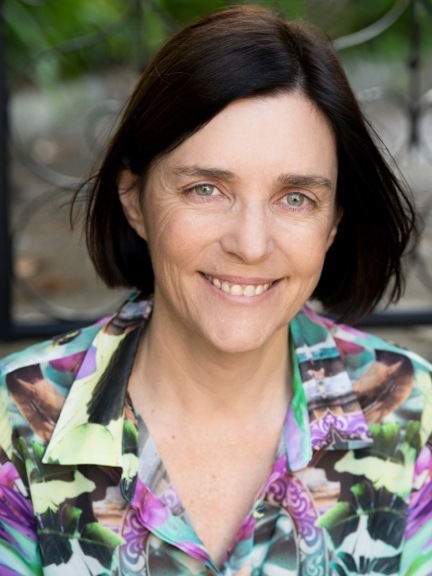 Ursula Dubosarsky has won nine national literary prizes including five NSW Premier’s awards - more than any other writer in the Award's thirty year history. Her latest books for children are about the history of language and I must say I did learn a lot from The Word Spy which is a fascinating journey into the history and use of our language, and reminds us of the strange complexity of English as it has grown topsy over the years. JOE: Ursula Dubosarsky, welcome to the interview. Why did you choose that track? URSULA: A friend played it for us on the piano one night. We had just come back from Argentina and I remember sitting in the darkened room and listening to this beautiful piece of music. My husband is from Argentina and we've spent a bit of time in Buenos Aires and of course Ginastera is a great Argentinian composer. I love the wistful mood of it, the same wistfulness you get in the tango – the songs, I mean, rather than the dance. As they say of the tango, “it is not about what you have but about what you lost!" The words to this milonga mean "I lay down under the tree of forgetting and tried to forget you, but when I woke up I still remembered you, because I forgot to forget you." Or something like that. JOE: A sense of passing that I must say I have picked up in some of your writing as well, which I wanted to talk to you about. But firstly, you've been writing books for children and young people for many years, but you've come up with something recently about the way children interact and play and think about words. In Australia, the book is called The Word Spy and The Word Snoop in the US. Tell me something about what you've learnt and what you understand about words and children. A while ago I met a man at a party who had been installing built-in wardrobes with those big sliding mirrors, and I said to him "How do you handle looking at mirrors all day long? That must turn your stomach". And he said that after a while you don't see the mirror at all, or your reflection, it’s just a piece of glass. If you think of language as the mirror, we use words all the time and we get so used to them we stop seeing the possibilities inside them. We just see a piece of glass. In the Word Spy books I’m trying to help children see beyond the glass. JOE: It’s a beautiful analogy. You want to break the reverence of words - not in a bad way but in a good way. Do you think the way children are brought up with the language they do get a little bit scared of it? URSULA: I think some children - not all - can come to see language almost as their enemy. Not when they’re learning to speak, but when they get into school and they have to learn to spell, and they have to learn to put the punctuation marks and so on – all the things the written language entails. It sets up a tension. They wonder, why is it so hard? It doesn’t make sense! and so on. It can almost seem as though there have been perverse decisions made to make things difficult. In the Word Spy what I hope is that through explaining the history of how the language came to be what it is, that children become aware that all those strange spellings and forms are not there just to make our life difficult but in fact tell us so much about the people that have been speaking English for hundreds and hundreds of years beforehand. So they can see that a language is an expression of human individuality, something to be treasured and loved, rather than something that is out to get you. The mirror inside the mirror. There is of course an essential tension between the notion of standard language and individual expression. So rather than just "Here are the rules and you must keep to them", in the book I want children to understand that the rules didn't fall down from heaven. People, human beings, made them. JOE: I feel a lot less scared of punctuation after reading your history of punctuation. Good to be reminded that in fact it was originally about having to read aloud from the page. URSULA: Yes, as breath marks - where to breathe. Punctuation’s a great example of the bendiness of the “rules”. I am a great one for using dashes and I know most people would think I use far too many! But it’s interesting to see how much heavier punctuation was several hundred years ago. 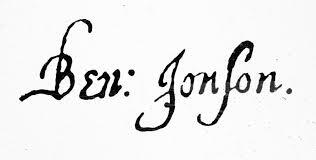 Ben Jonson, the wonderful Renaissance dramatist was a big lover of punctuation and punctuated everything. He regarded it as part of his signature. He even put a colon into his signature! If now we tried to read Ben Johnson with his original punctuation we would probably go crazy. Because we now believe in light punctuation. JOE: And even that is too much punctuation for some! URSULA: Yes, some people believe in no punctuation! There are indeed some languages in the world that do have almost no punctuation. And as we know text language is often empty of standard punctuation, and yet we manage to read it - well - those who learn the many changing rules of text language manage to read it. JOE: You’ve also reminded me how difficult English is in terms of spelling. I can't imagine trying to learn it as a second language, given it's more of the exception than the rule isn't it? The spelling and the pronunciation. URSULA: I think it's estimated about 60% of English words have silent letters. But then again, my husband, who's a Spanish speaker, said to me once, “Spanish is so easy because you just read it how it's written" and I had to laugh because to English speakers Spanish doesn't look remotely how it's written! So while English certainly is a language with lots of exceptions, really all languages are full of idioms and oddities that come about because of the individual history of that language. It’s true that English has had a variety of language influences which has affected spelling. Although lots of what we think of as strange spellings come from the original Anglo-Saxon. JOE: Yes it’s always good to be reminded of the Anglo-Saxon impact, heritage, and foundation of the English. In the book you also get into word-play. For example lipograms. You mention Georges Perec, who wrote a whole book without an 'E' in it. URSULA: The Disappearance as it is called in English. La Disparition in French. Although lipograms go right back to the ancient Greeks. I love researching things like that – why do people do such strange things? Why decide to write an entire poem without a particular letter? There’s an American novel written in the late 30s called Gadsby which was also written without the letter 'E'. 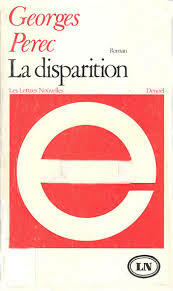 Perec's novel is probably the most famous, though. It fits into the constrained writing movement that Perec was involved with, I think Calvino as well. Many post-modern writers have had this sort of experimental-workshop attitude to writing. That if force yourself to do something very strange, which takes you out of your normal rhythm of thought, who knows what will happen? JOE: Which you agree with and believe in don't you? URSULA: I think anybody who teaches creative writing - to children or adults - uses these sort of things all the time. You know, you pick up an apple and a wooden spoon and say – now write a dramatic adventure about these two objects with a helicopter. That's a constraint! Really any sort of literature is a kind of constraint. A novel, a sonnet, a poem. Perec and his friends just took it to an extreme. A great example of constrained writing in children's literature of course is The Cat in the Hat. Dr Seuss was given a vocabulary of 400 words, although I think in the end he only used about 230. Anyway, the challenge was - do books with limited vocabulary have to be boring and prosaic? Or can you write something real and extraordinary, resonant and rich? Which indeed he did. That was a form of constraint and without that constraint I guess he wouldn't have written that book. JOE: It’s also the repetition of words that is so spectacular in The Cat in the Hat, going in sequence and phasing in and phasing out. URSULA: Yes. It seems to me often when people think of children's literature they think of it as a limitation. They think that if you can’t access a huge vocabulary, you won’t be able to express yourself. But the simplest individual words –we were talking about the Anglo-Saxon words before - "man" "wife" "snow" "life" - are full of meaning and nuance. It just depends how you use them. JOE: Ursula let's have some music. Another song you've picked you've picked is the Solomon Song sung by Robyn Archer. Do you want to tell me a little bit about this? URSULA: The album, Robyn Archer Sings Brecht came out when I was in my twenties and I listened to it many many times. I loved it. All the songs have remained inside my head – lines, phrases, sounds. Provided to YouTube by Warner Music Group The Threepenny Opera (in English) (1981 Remastered Version) : Solomon Song (with harmonium) · Robyn Archer/London Sinfonietta/Dominic Muldowney/John Constable Weill: Symphony No.2, Seven Deadly Sins etc. ℗ 1981 The copyright in this sound recording is owned by EMI Music Australia. JOE: Whilst that was playing Ursula and I were saying that there's something threatening in that piece, a sort of malice somewhere underneath that stays with you. URSULA: Malice might be a bit harsh! Certainly irony, and sadness. JOE: I want to talk to you about the process of writing for you. You write for children, or at least your books are mostly for children, but is that the audience you have in mind when you write. Do you see a child? URSULA: It depends on the kind of book. When I’m writing picture books or illustrated books for young children, it’s almost like I have a group of children in front of me, staring at me, and so I’m very aware that I need to speak to their interests and to keep that attention and excitement. Writing novels is probably less audience-oriented in that specific sense. The sense of the reader is not quite as immediate in my mind. But that’s one of the great mysteries for all writers "who are we writing for?" I think many adult writers would probably be hard-pressed to say who they are writing for. You are writing out of some strange motivation of your own, which perhaps you can't analyse. JOE: Do you test anything on your own children? URSULA: A little bit. But not really. I know there are writers who are in writers groups and who like to test their work and to think about what other people have to say during the process. But I find I tend to lose confidence so quickly. Even telling somebody the idea for your next book and you see their eyes glazing over and you think oh no I better not write that, and give up. I wait until it is as finished as it could possibly be before I send it to the publisher. JOE: One of the things I am fascinated about is that you talk about magical thinking and children and getting into that space where the real merges with the myth and the mystery around us. It seems to be that it is something you held onto perhaps since you were a child. I think adults tend to forget about that magical thinking, and to reinvigorate that and to write about it must require a fair bit of going back to your own past. URSULA: I suppose this is why one person decides – or not even decides but finds themselves writing as a children's writer and another person might not. Maybe I do have very vivid memories. But maybe they are not memories? Maybe I continue it on some level to think like that now, and maybe that is a characteristic of children's writers. It is not so much, "how do you remember what it was like being a child?" It’s more that you can’t help remembering it, you’re the same person. JOE: Although what you capture, for instance in The Red Shoe, one of your books for older children and young adults. There is such a foreboding sense of when the child looks at the adult world - it is strange and mysterious and impenetrable in parts and not understandable and having to try and make sense of that, and that merging the kind of magical thinking of being a child anyway. Capturing that , I think, is quite a big task. URSULA: There is a surreal aspect to the child's experience of the world, which I think is illuminating, because we have so many more layers and we have discounted various things quite rationally and sensibly as possibilities, whereas a child has not lived long enough to discount those things. That’s why the surrealist painters were fascinated by the way children saw objects or things or persons, and by we can learn about the human experience through the eyes of young children. And a child's mind is so private. A child doesn't really share their intimate thoughts, not even if they are very close to their parents brothers or sisters. They live a kind of solipsistic life - "I'm it". So the various sort of weird ideas they have, they don't necessarily test them out on other people. They just believe them inside their heads, privately. Of course, there may be people out there listening saying "that's not how I thought at all as a child" and obviously that is perfectly possible, but I think there are enough children out there that are like that. JOE: Let's play some more music, and the next track you have chosen is Mozart’ Die Zufriedenheit. Tell me about this. URSULA: The title of the song means 'Satisfaction' or 'Contentment'. I use this song as a bit of a magic spell to cheer myself up. One of my sons has a very natural state of contentment that seems to be his equilibrium point. He gets depressed and angry and all of that but he returns to this state of contentment. It is a kind of a spiritual gift. I find it quite extraordinary. I think the rest of us have to crawl up the stony mountain with the blizzards to reach that state of contentment. But when I hear this song, even if I’m feeling very melancholy and discontented, it reminds me that there is such a thing as happiness and perhaps I can feel it. JOE: Ursula, you were saying off-air that you don't actually understand the German in that song, but you are kind of happy there are words in there. URSULA: Yes I just like the sound of words even if I can't understand what they are saying! JOE: As a writer ought to. Is it true you know Old Icelandic by the way? URSULA: I studied it for one year at university. So I wouldn't suggest I know it! We did learnt to read “Burning Njal’s Saga” though. JOE: Your career path is an interesting one. You basically started by a children's writer by sending a manuscript away to a publisher. URSULA: I think if you’re looking at creative endeavors, writing is very good for the shy personality because you don't actually have to confront anybody in person. I mean if you want to talk someone into making a film, well you have to talk them into it. But with writing you send in the manuscript anonymously - at least it may be under your name but they know nothing about you and nothing is going to talk them into it except what's on the page. That’s my ideal of publishing, anyway. There’s something clean about it. The person on the other end, if they don't like it they just put it in an envelope and send it back to you. You don't have to be humiliated in person, you can deal with it privately. I wanted to be a writer from when I was about six. I didn't think particularly "I want to be a children's writer". I just wanted to be a writer. Then, when I was in my early 20s I wrote a novel, which was later published as Zizzy Zing, which had an eleven-year-old narrator. It was written in the first person and was a sort of murder story. I came to the end of it and then I thought, "oh I wonder how I could get that published". And then I thought, "oh it's got a child in it maybe it could be a children's book" .So I sent it off to a children’s publisher. At that stage in its life it was not particularly suitable as a children's book, but with a bit of helpful advice it did become one. I think there’s something inevitable about what you end out writing. To write a novel you have to be extremely motivated. It's a hard slog. You have to really want to write it. People say to me, "You could write a book for adults, why don’t you?" I have nothing against writing a book for adults. In fact I have written an opening paragraph occasionally, but then I look at it and I don't feel any motivation to continue. Whereas when I am writing a book for children, for whatever deep mysterious reasons I want to finish it. In a way the kind of writer you become publicly is a social process. My writing has been socialised through publishing into the world of children's literature. And if I had written adult novels I would have been socialised into the world of adult literature. In the end, you need to write what you want to write and then you work it out with the world about how it can be published and who will want to read it. JOE: So tell me about your growing up. Was there anything particular in that which kind of led you to the path of writer? Were you surrounded by books? URSULA: Yes, surrounded by books. I was a great one for lying on the floor as a child and reading the titles of books on the shelves. My mother was very fond of the novels of Iris Murdoch and I was always struck by the dramatic titles: Bruno's Dream, The Nice and the Good, The Severed Head. I can’t say I pulled them out and read them, but I liked them being there. All my family in various ways are writers, of non-fiction rather than fiction. There was absolutely the sense at home that to be a writer wasn't a circus act, it was a serious vocation. JOE: I read some where you recall picking a book out of your parents' library – They Shoot Horses, Don’t They? URSULA: That was in my Dad's study. I used to go in there and look at the books. I liked animals and so I thought this book was about horses. It's by the American writer, Horace McCoy and was published in 1935. It’s set during the Depression, about a young couple that come together for the purpose of a dance marathon. In the course of it the young woman tells the young man how unhappy and hopeless she feels, so at the end of the marathon he shoots her dead – as a kind of favour. When they police come to take him away, his comment is, “They shoot horses don't they?” I read it in one sitting in a state of excitement when I was about nine. I was very impressed by its structure. The pronouncements of the judge condemning the young man to death in court are dripped out between the chapters in this sonorous legal language that I found very serious and terrifying. 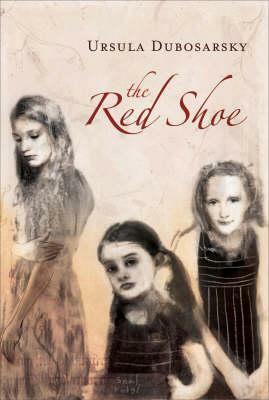 I think my novel The Red Shoe is quite influenced by it. JOE: Heavens, what did you make of that as a child? URSULA: I don’t know! My father was a barrister at one stage and he had lots of legal books about murder trials and so on. There was another on that gripped me as a child called Hanged in Error - a record of British court cases about people who had been hanged and it was later discovered that they were in fact not guilty. I guess it’s the combination of extreme human behavior occurring in the banality of everyday life. URSULA: This is a song that s a favourite of my mother's. My mother's not very well at the moment, and a few years ago we had a beautiful night at the Opera House seeing La Traviata , so it's a kind of a memory of that night, and it is just a beautiful passionate lovely song. JOE: One thing I must say about The Red Shoe. You interspersed the fiction with actual reports of the Sydney Morning Herald of the time regarding the Petrov Affair. URSULA: That's right. It’s set during Australia's spy scandal of 1954. I think when you are writing something that is set in a historical period, you are very aware that you are reinterpreting it. What I wanted to do by including those direct newspaper excerpts is to provide an authentic voice from 1954. Not just Ursula's version of what happened which is the rest of the book. JOE: Let’s just finish with your final selection for today, and I have to say it's a beauty. Tell me about this one. URSULA: I've picked a song by Tiny Tim, his most famous, his hit song, Tiptoe through the Tulips. I've been a lover of Tiny Tim since the late 1960s when he of appeared on television and I saw him perform at the Opera House in 1982. He’s dead, now of course, but I think he had a beautiful, strangely sincere approach, especially for the modern world. He was a sentimental performer completely without irony. JOE: What a way to end our day together. Tiptoe through the Tulips by Tiny Tim.